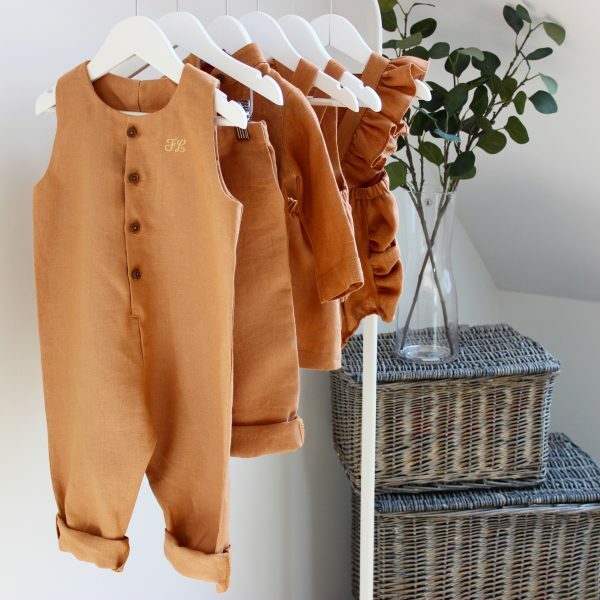 Simple and minimal linen baby clothing, complete with adjustable button fastening. These are the perfect unisex outfit. Wear on it’s own in the Summer and with chunky knitwear come the Winter months. Designed to grow with your child from season to season. 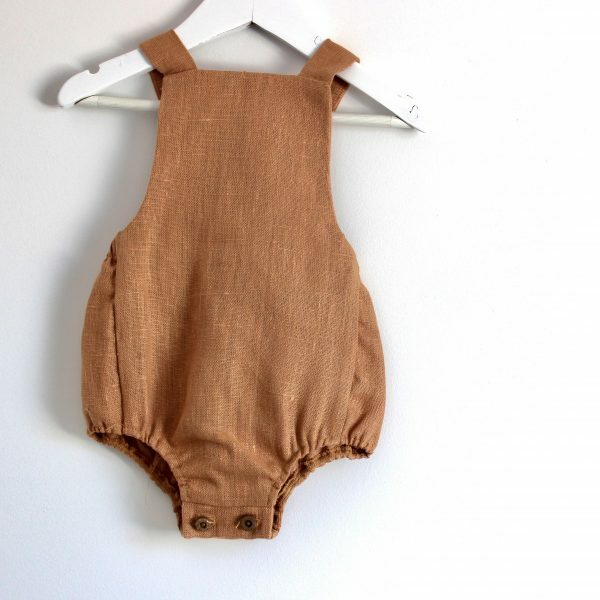 All of our rompers now come with underneath button fastening for easier nappy changes. We choose to use linen for our baby clothing because not only is it sustainable, it’s the most luxurious in the way it was formed. It’s more durable than most other materials which is important when it comes to children, don’t be afraid of it, embrace it and let kids be kids. It actually becomes stronger the more wet it becomes plus it’s antibacterial which is perfect for precious skin. Our clothing is made to last, to be handed down time after time, we’re confident it will even last to be worn by your children’s children. If that’s not enough, our linen baby clothing becomes softer with every single wash too. Machine washable at 30, do not tumble dry. 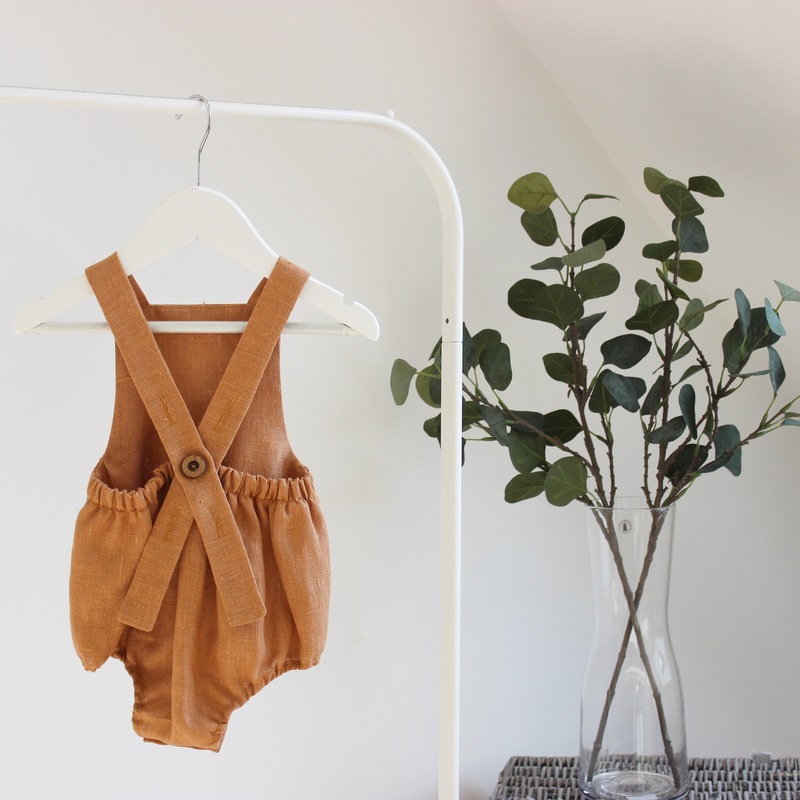 As we are a sustainable fashion brand, we design and size our children’s clothing slightly larger to last. This means they are made with room to grow and are a generous fit yet have adjustable fastening for tightening or for loosening. They are not just for Summer, they are key pieces designed to be worn all year. Team with knits come the cooler months. Don’t worry as we offer returns and exchanges if you aren’t completely satisfied. Please see our size chart for further details.